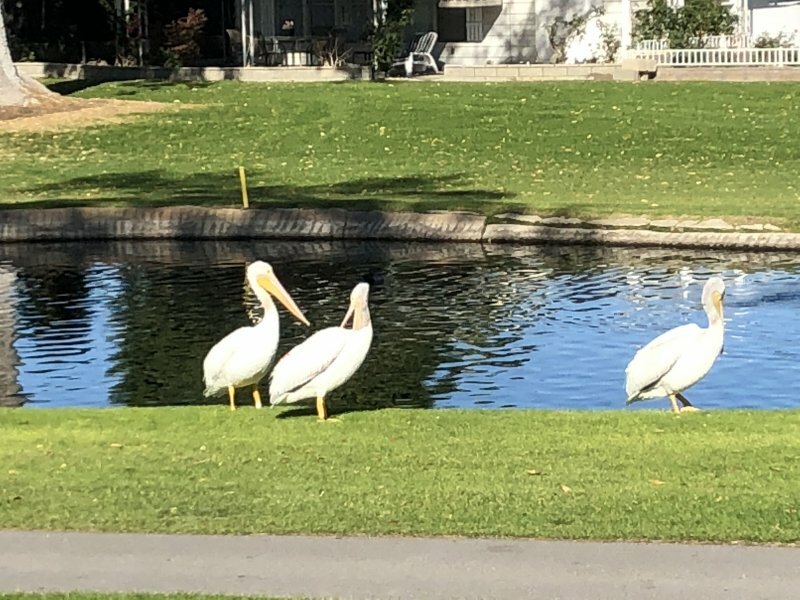 Located in Cathedral City, CA, Date Palm Country Club is nestled in the southern California desert of Coachella Valley providing its residents with magnificent views from every angle. 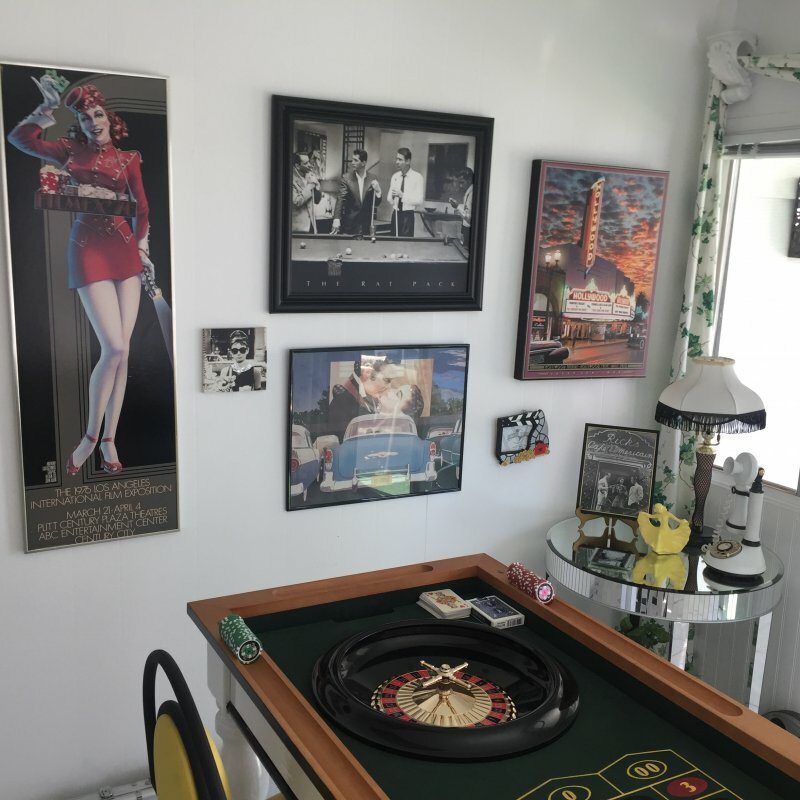 Even with its tranquil setting, this 55+ retirement mobile home community is still only 3.6 miles from the Palm Springs Air Museum, and less than 1 mile from local area shopping and dining opportunities. Featuring a wealth of community organized activities, a spacious clubhouse for hosting social events, and a fully outfitted fitness center, life at Date Palms Country club will never be boring. This magnificent gated community also boasts its own golf-course, restaurant, tennis courts, and whirlpool-spa-hot tub and community pools. Our home is beautifully decorated with some Hollywood glam. As you enter our front door you will be in our sun room, which has a game table, a futon sofa for an extra guest. From there it is open to a free standing bar, kitchen, living room and dinette all open to each other. This all look out to a golf course and lake view. 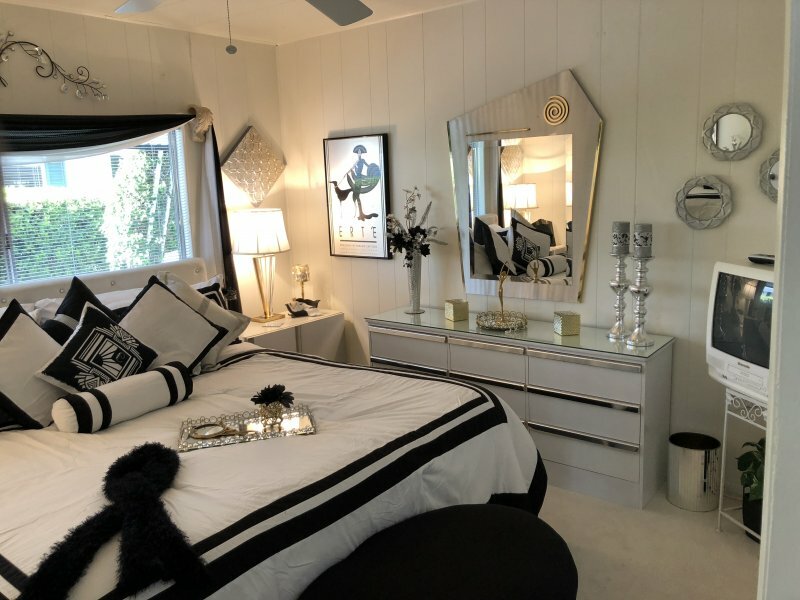 Down the hall is a guest bedroom with a king size bed, decorated in black and white Art Deco. Across from that is a guest bath with walk in shower. Straight ahead is the master bedroom with king size bed, a double sink master bathroom with tub and shower. The floors in the home are mostly tile. The laundry room is by the back door. There is also an alarm system in the laundry room. The carport holds up to 3 cars. The back yard has lots of seating, a barbecue, and a swim spa. This all overlooks the lake, golf course, and ducks. 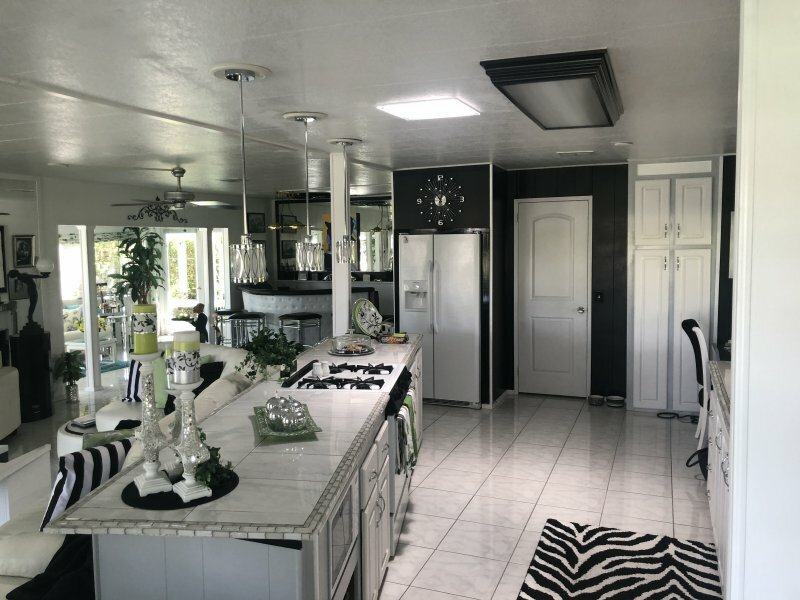 This home is fun and has everything needed for a comfortable stay. 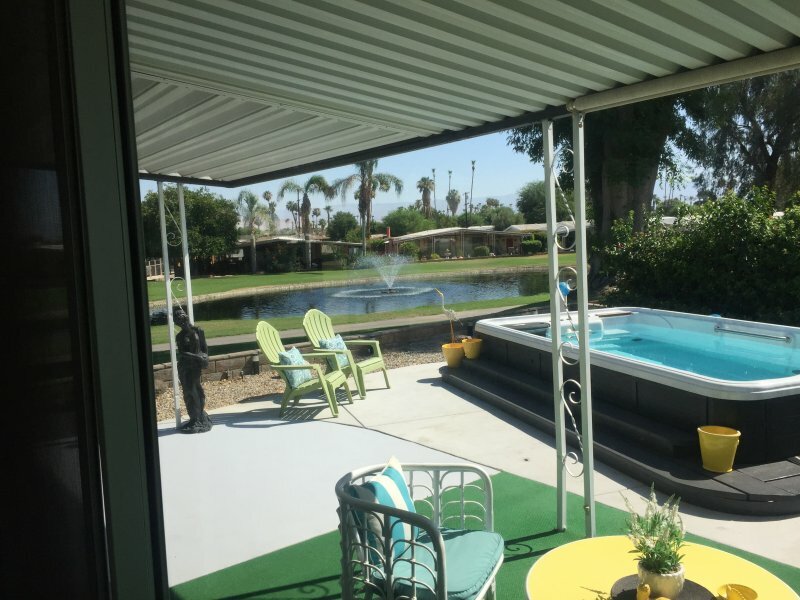 Description **3 Month Minimum Stay** Located in Cathedral City, CA, Date Palm Country Club is nestled in the southern California desert of Coachella Valley providing its residents with magnificent views from every angle. 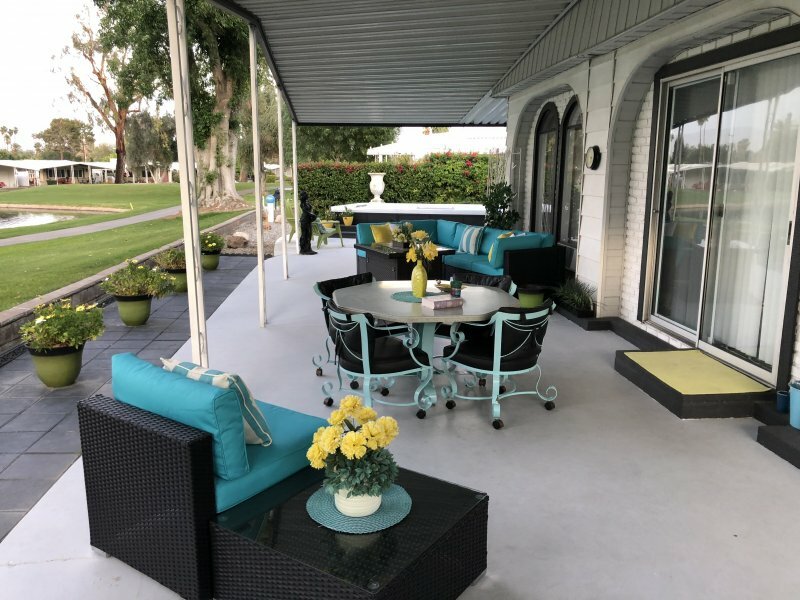 Even with its tranquil setting, this 55+ retirement mobile home community is still only 3.6 miles from the Palm Springs Air Museum, and less than 1 mile from local area shopping and dining opportunities. 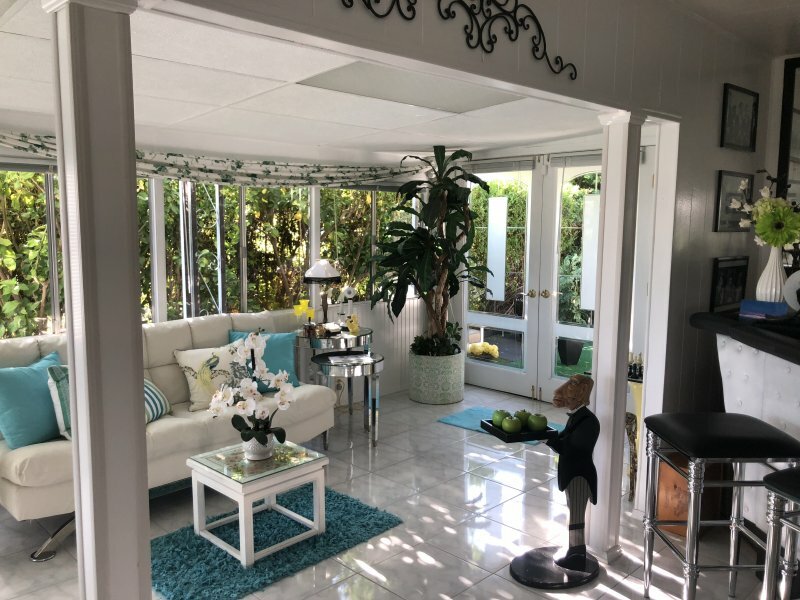 Featuring a wealth of community organized activities, a spacious clubhouse for hosting social events, and a fully outfitted fitness center, life at Date Palms Country club will never be boring. This magnificent gated community also boasts its own golf-course, restaurant, tennis courts, and whirlpool-spa-hot tub and community pools. Our home is beautifully decorated with some Hollywood glam. As you enter our front door you will be in our sun room, which has a game table, a futon sofa for an extra guest. From there it is open to a free standing bar, kitchen, living room and dinette all open to each other. This all look out to a golf course and lake view. 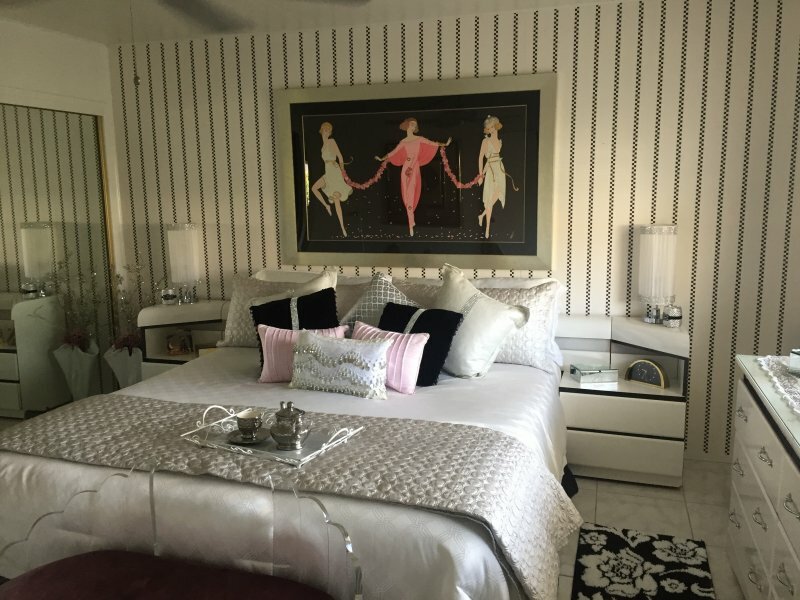 Down the hall is a guest bedroom with a king size bed, decorated in black and white Art Deco. Across from that is a guest bath with walk in shower. Straight ahead is the master bedroom with king size bed, a double sink master bathroom with tub and shower. The floors in the home are mostly tile. The laundry room is by the back door. There is also an alarm system in the laundry room. The carport holds up to 3 cars. The back yard has lots of seating, a barbecue, and a swim spa. This all overlooks the lake, golf course, and ducks. 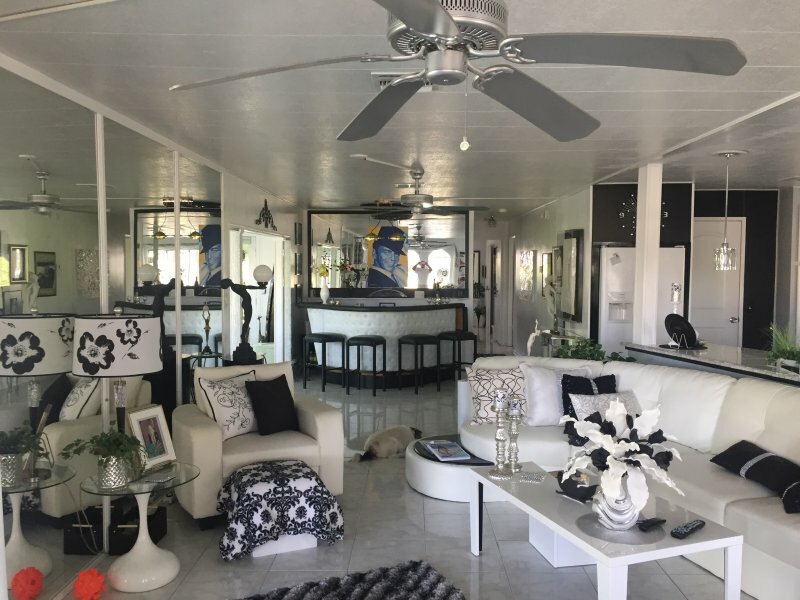 This home is fun and has everything needed for a comfortable stay.